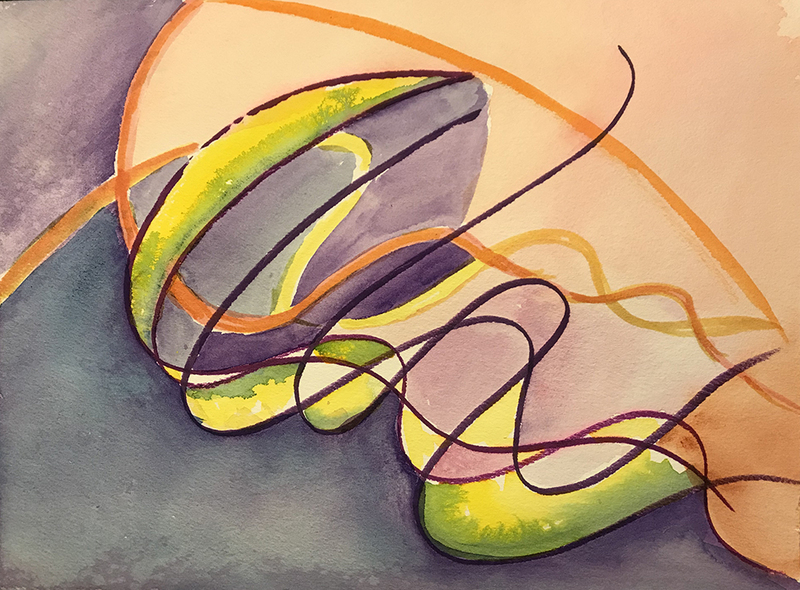 I integrated alcohol marker curves with broad expanses of watercolor in this study. It reminds me of a jellyfish with trailing tangles. This entry was posted in Personal Stories and tagged abstract art, alcohol markers, artistic process, creative process, jelly fish, painting, strands, visual arts, watercolor. Bookmark the permalink.